Established in 1996, The Wine & Cheese Depot features a carefully chosen selection of domestic and imported wines and a delectable assortment of artisanal cheeses from Vermont and elsewhere. We are located in a small Victorian just off of Main Street. Don't let the exterior fool you. 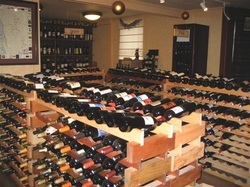 We have more than 500 wine labels to choose from, ranging in price from $6 up to a much more expensive collectible wine. 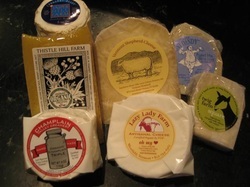 We also carry an array of wine accessories, a terrific selection of cheeses, crackers and other specialty food products.